GRIP YOUR GEAR with LAZY-HANDS Thumbs-free grips for your SIT MEANS SIT Remote. 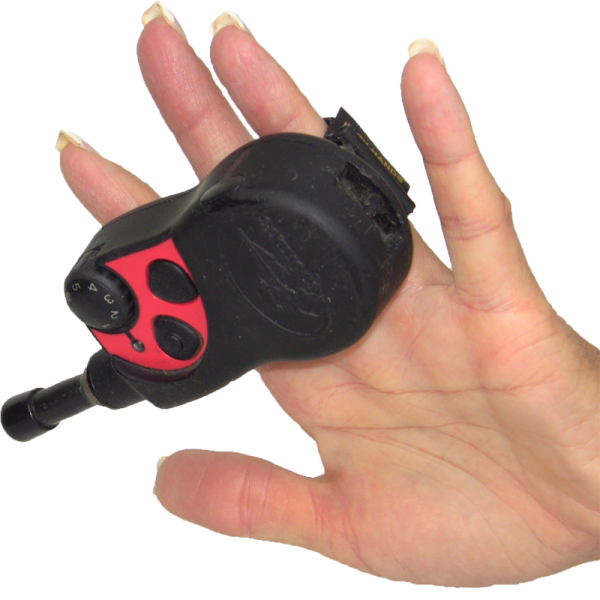 Keep your remote handy at your fingertips when working with your dog. The remote grip is very useful compared to it swinging freely on a lanyard. No pockets? Use the LAZY-HANDS SIT MEANS SIT Remote Grip. Need an extra hand? 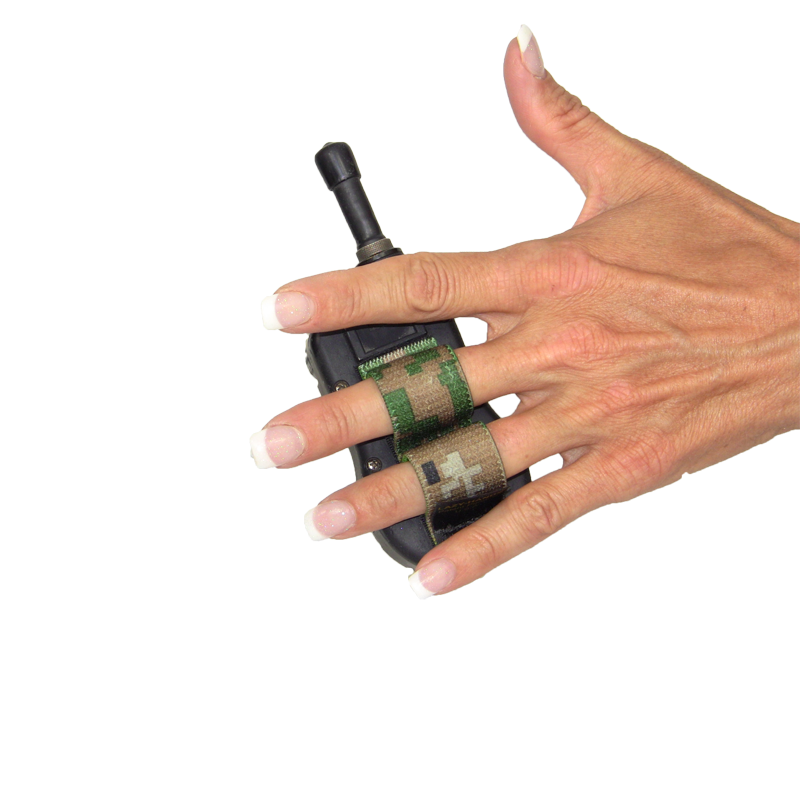 Put your remote on the back of your hand, wearing the grip like a ring! Easily remove the grip and have access to the programming button on the back. Made in U.S.A. Grip it so you don’t drop it! LAZY-HANDS Thumbs-free grip for SIT MEANS SIT Remote and Cell Phone. Helps prevent hand cramps and dropping. Removable finger grip for easy access to programming button. Includes 1 thumbs-free SIT MEANS SIT remote grip and 1 adhesive-backed loop strip. Small — fits children and very-small-hand sizes for young adults, women and men.